Total : 4PCE Q size with round dressing table and mirror : $1799 . Slats: Height adjustable slats and brackets. suitable for mattress of thickness from 24-34cm , The height of 6 noise-cancel-legs can be adjusted according to the thickness of the mattress. This stunning Delano french provincial style bed features antique white finish with hand carved style overlays and upholstery with linen fabric.The bed frame is made from solid timber.This elegant bedroom suite will be great addition to your bed room. Frame stains : Ivory white, Antique white , Black , and Antique teak finish . Features : A most storage Charcoal Color bed features stylish and sleek design with the touchable led light and USB Port on the storage headboard. Quality gas lift storage base plus additional storage drawers makes Delta bed more attractive and impressed . The featured spacious bedside table , dresser and tall boy design will make your room stunning and fantastic . Features : A most storage Glossy white finish bed features stylish and sleek design with the touchable led light on the headboard along with the bedhead storage. The featured spacious bedside table , dresser and tall boy design will make your room stunning and fantastic . 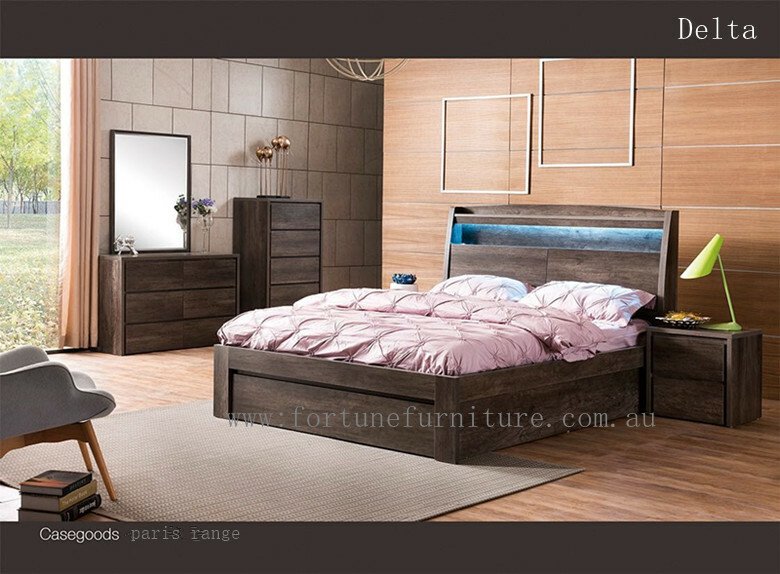 Features : Paris, mocha oak finish bed features stylish and sleek design with the touchable led light on the headboard along with the bedhead storage . Quality bed end drawers makes Paris bed more attractive and impressed . The featured spacious bedside table ,study desk and bookcase design will make your room stunning and fantastic . Features : carefully wrapped with Top Grade Italian leather 1mm thickness. 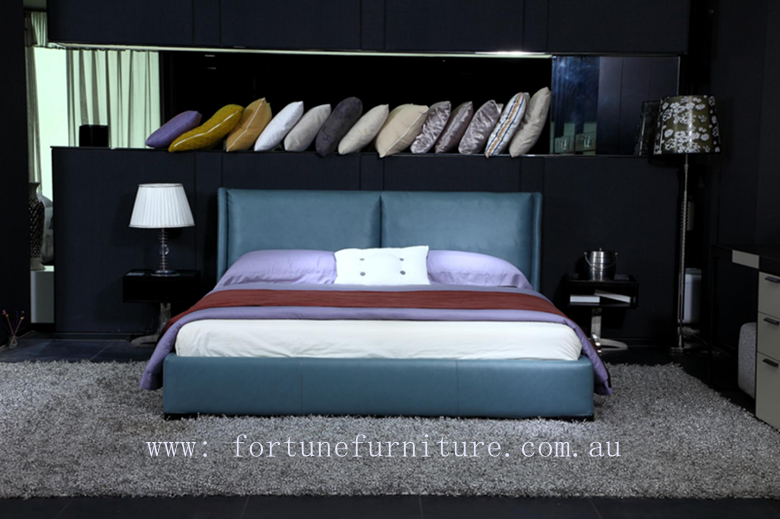 Romano leather bed offers you stylish and absolutely comfortable bed head support . Also, the solid oak wood frame makes Romano more strong and stable ..
Upholstered with top grade Italian leather(1 mm)and designed with hardwood timber, this bed is supportive, strong and easy to care for.The design of this Carina Queen Bed is elegant, classy and sure to fit the feel of your home no matter what the decor. size : Queen and king size available . For timeless style that is light-years ahead, you can’t go past the Alma Queen Bed. 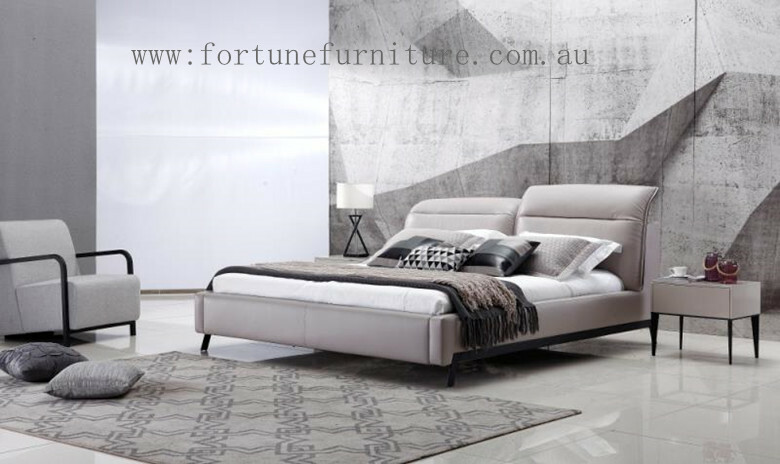 This elegant design seamlessly fits into your modern lifestyle.With a sturdy timber frame and top grade Italian leather(1 mm), Alma looks fantastic in any modern bedroom.Simultaneously bold, sleek and powerful, this bed is the ultimate in contemporary design. 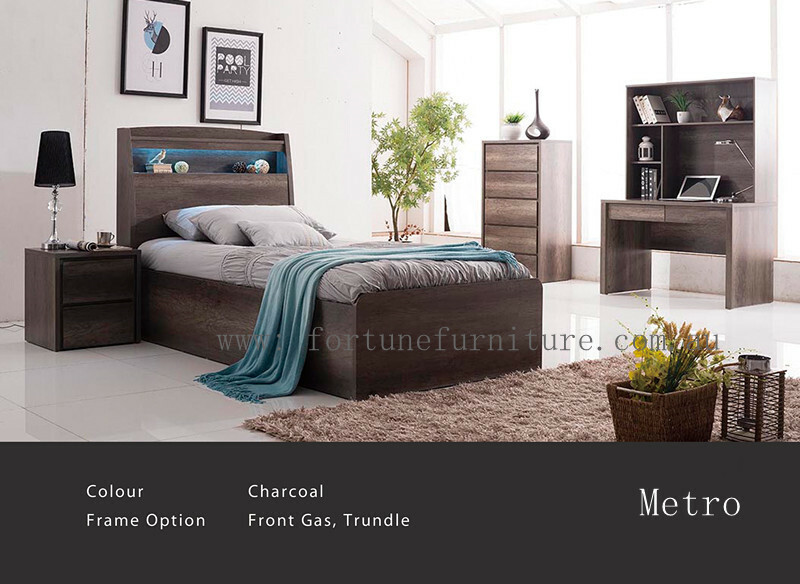 Features: A most storage charcoal finish bed features stylish and sleek design with the storage bed head . Quality gas-lift bed storage makes metro more attractive and impressed .Plus USB port is the another benefit for all the convenience. The featured spacious bedside table ,tall boy and study desk will make your room stunning and fantastic . storage include : trundle or gas lift storage . stocks are available in king single size and single size . 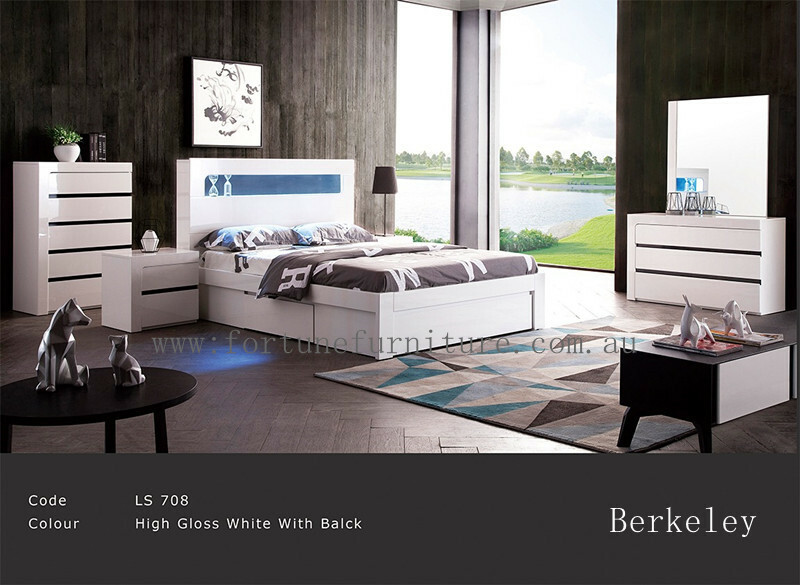 Features: The berkeley Bed has a stunning modern look and an unique style.The new design features square edges that give the bed a clearly defined and the contrast black finish inserted on the bedhead which will be an eye catching feature of any room.The Berkeley Bed has a clean and fresh gloss white finish that brings burst of crispness to the room . Plus Berlerley has the three universal storage options which has 3 drawers all around or 2 drawers one side , another 2 drawers on the other side or gas lift storage . It absolutely makes Berkerley a versatile piece that can suit for a number of decors. Stocks are available in Double. queen . King size . Features: Miranda is Made from solid American Oak and finishes with the elegance white stain . Carefully Crafted with elegance details , cooper button and slim , modern looking can be suit for any type of bedroom.